ting it to a valid, non-empty path. 2016-01-03T03:39:47.469273Z 0 [Note] InnoDB: Database was not shutdown normally! 2016-01-03T03:39:47.469273Z 0 [Note] InnoDB: Starting crash recovery. 2016-01-03T03:39:48.389674Z 0 [Note] InnoDB: File '.\ibtmp1' size is now 12 MB. 2016-01-03T03:39:48.389674Z 0 [Note] InnoDB: 96 redo rollback segment(s) found. 2016-01-03T03:39:48.452074Z 0 [Note] Plugin 'FEDERATED' is disabled. 2016-01-03T03:39:48.623675Z 0 [Note] IPv6 is available. 2016-01-03T03:39:48.623675Z 0 [Note] Server socket created on IP: '::'. 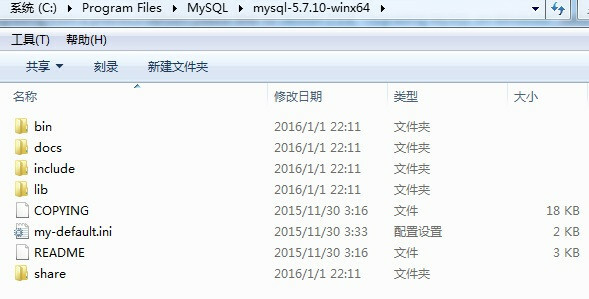 2016-01-03T03:39:48.810875Z 0 [Note] mysqld: ready for connections.